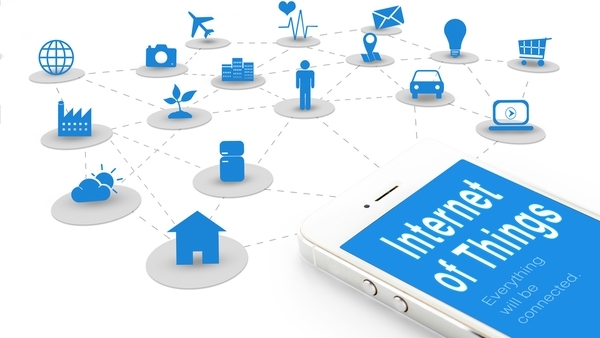 The IoT is a term used to describe the network of internet connected devices that can communicate with you, each other, and their maker with, or without, human intervention. For example: Your new printer can order its own ink to be delivered to your house in time for you to need it without you even being aware of it. There are huge benefits to be had for both the manufacturer and end user from this type of communication. For you this means that you don’t run out of ink; it just gets delivered before you run out. More usefully though, your car can remind you that it needs servicing, fuel, water etc. without you having to check it every Saturday morning. There are smart systems of home heating & lighting controls that you can manage remotely from your mobile phone. The System learns your family’s routines and will automatically adjust the temperature based on when you’re home or away, awake or asleep, hot or cold, to make your house more efficient and help you save on heating and lighting bills. There are smart sockets and smart bulbs for you to control remotely, there are alarm and CCTV systems, there are health monitoring & fitness tracking systems, and movement sensors to track activity, enable medication reminders, and send out alerts for things like missed meals or decreased physical activity. IoT products like the “Lively” system are helping more seniors live independent lives, instead of requiring in-patient or assistive care. From a business point of view, IoT not only helps with market research and product design by getting automatic feedback from the devices as they are used, but also in the logistics of running the business. For example, DHL provides shipping, warehousing, distribution, and supply chain management all over the world, and they use IoT technology that includes vehicle monitoring and maintenance, real-time tracking of packages, environmental sensors in shipping containers, information-gathering on employees and tools, and many safety-enhancing features for vehicles and people. Remote monitoring and access to the equipment used in manufacturing could greatly improve efficiency, allow issues to be resolved more quickly, and, in the end, result in production being increased. Now it could be that making a cup of tea from your mobile phone so that its ready when you get home from walking the dog, is not really important for you, but imaging the benefit if you were incapacitated or permanently disabled! The Internet of Things is a fascinating field, and connecting everyday devices to the internet can be hard to wrap your head around at times. But with the technologies above, and the others coming along every day, the world is moving toward a future where devices are smarter, we’re more in control, and we’ll be able to use technology to live more efficient, intelligent lives.